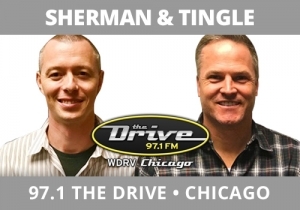 Sherman and Tingle, WDRV, Chicago couldn’t care less about the Royal Wedding. This doesn’t absolve them from dealing with it – it actually gives them a powerful perspective from which to develop their breaks and humor. There have been times where certain shows or talent will use the “I don’t care about it so I didn’t do anything around it” as a defense to avoid a big topic. That’s not smart (it’s actually lazy!). We never assign perspectives, we just need to identify them to tackle the topic. Add a splash of imagination to your take and you’re off to the races to entertain the audience. These guys imagined what Prince William’s first toast of the happy couple would sound like at the reception. Behold a perfect break – it’s around a big topic of the day, it’s foundation is the team’s take, it’s funny, it’s short, and it’s inventive.